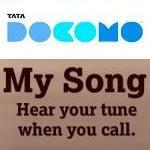 TATA DOCOMO has introduced weekly subscription plan for its Ring Back Tone service – MySong users. The new weekly subscription are for both prepay and postpay subscribers. To activate MySong Weekly Plan, subscribers will have to pay weekly rental of Rs. 10 where they can download unlimited songs and change it free of cost by dialing 543217. Song validity remains lifetime and it allows a maximum of 50 songs in the library that can be played in the loop and can be added or deleted anytime. As an additional benefit, subscribers also have an option to set MySong tune as their caller tune by paying a monthly subscription of Rs 30 with no song download cost. MySong Service is also available on monthly basis, wherein subscription charges are Rs 15 for 30 days, while Rs 10 per song download will be applicable. The validity for each song downloaded will be 90 days.